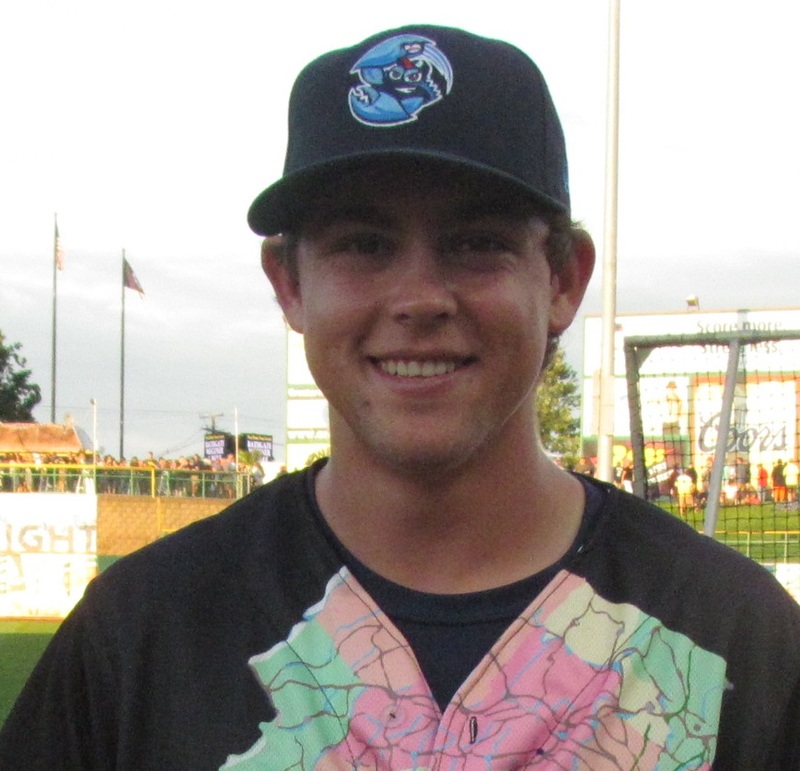 The Phillies’ 2nd round draft pick this year was second baseman Scott Kingery. In 66 games with Class A Lakewood after signing his first professional contract, the 21-year-old posted a .250 average with three home runs, 21 RBI and 11 steals. Kingery, a righty batting second baseman, sported a .392 average while being named Pac-12 player of the year as a member of the Arizona Wildcats in 2015. The five-foot-10 180-pounder took time recently to talk about his very first off-season, mentoring high school players, feeling inspired by an NBA team and more. Read ahead for the full interview. -After the season, how much time do you take off from swinging a bat and picking up a ball? Also, during that time, what do you do to stay fit? I mean, this is my first real off-season. Before this, I was playing year round without a break. So, this is the first time I’ve had some time off to rest and get my body back in the best shape in can be in. I just started throwing a couple weeks ago and swinging the bat a little bit a couple weeks ago. Before that, I had instructs, so I went a little (longer) than some of the other guys. And I’ve been just resting and working out and running and keeping my body in shape without doing too much baseball activity because my body needed a break from it. -Regarding instructs, what was your experience like there in Clearwater for those weeks after the regular season ends and do you feel pressure to impress the organization with all the eyes on you there? I really looked at it as a way to fine tune some stuff that some people saw during the season. And, to be honest, I think it really helped me. I just tweaked a few things in my swing, worked defensively with a couple guys and figured out some footwork around the bag and worked on defense and tried to fine tune some stuff that will help me during the season. -You spoke of playing collegiate level and summer leagues, year round. What is it like this year to have this downtime and a true off-season? Does it drive you crazy to not be out on the field? Shawn Williams, my manager with Lakewood, he put it perfectly. He said, “You guys need the rest, but after about two weeks, you’re going to be bored and you’re going to want to get back out there on the field.” And for me, right now, I’m at the point where I want to start getting back out on the field and play some games again. There’s not much to do and when your life’s revolved around baseball for 21 years and you finally get some off time, I have no idea what to do. So, I’ve just been working out and waiting for baseball to start again. -Are you working a job or doing any clinics to keep busy or earn a check this off-season? I haven’t been working a job, but me and a couple other guys go back to our high school and work with the infielders there and stuff and kind of run some camps. They have winter camps and we just run a couple of those and help out the high schoolers. -When you were their age did you have players come back to help you and make that type of impression on you to help you develop? And what’s it like now to be that guy who mentors younger players? When I was in high school, there was a couple of guys that came back. Joe Mather was a former big league player and now he’s coaching with the Diamondbacks and he would come back and help out and just work with certain specific skills and stuff and it was really cool having those guys there. I knew what it felt like back in the day, so I’m assuming the kids are pretty excited to have me and Cole Tucker, who was in the Sally League last year with West Virginia, to go back and help out and just hang around with the guys for a little bit. I’m sure they’re excited for that. -I know the Phils will issue all their young players workout assignments or guidelines for the off-season, but is there anything specific for you that you are working to improve during the winter? There wasn’t anything specific, but personally, I wanted to put on some weight because, as it is, I’m a small guy and at the end of last season I was really skinny because I had been playing for so long. So, I’m trying to put on some extra weight this off-season, so I can go in and have some extra weight that I can lose and still stay at a healthy playing weight throughout next season. -Aside from working out with the high school players this off-season, is there anything else you’re doing to stay busy or have fun? I’ve been hiking a lot. We have a lot of mountains out here in Arizona, so, I go hiking with some of my buddies. We go to some Suns games. Try to make it out to as many Cardinals games as possible, so whatever we can do to have a little fun. -I know you also vacationed recently out in the bay area and saw a Warriors game. That team could potentially be among the best NBA squads ever. When you’re seeing guys do what they do at such an elite level are those guys inspiring to watch, even to athletes from other sports? It’s incredible to just watch how those guy play and how they work together and how dominant they are. You know how much work they’ve put in and you know exactly what it takes to get to the level that they’re at. So, it’s really cool getting to watch those guys go out there and play like that.